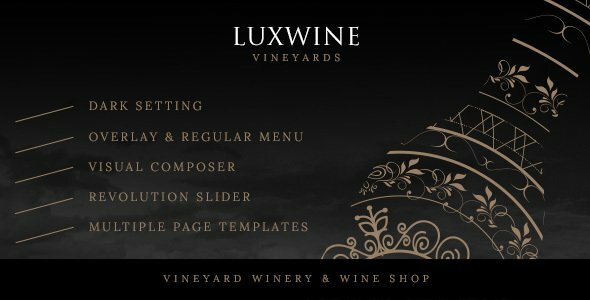 Beautifully crafted Wine WordPress theme best suitable for vineyard, winery and wine websites. The template is 1170px wide with a dark setting which makes the site’s ambiance more elegant and sophisticated. Features a multitude of business specific elements, large fonts and a spacious layout in order to help you gain focus on the website content.